The wedding day is an important day of everyone’s life and it is a life’s greatest milestone. For man and woman, wedding day is the most important day of his or her life, and for that they plan a lot. Girls have lots of dreams about their wedding, they are fantasizing about the wedding day since they were young. Every person at home put all his effort to make a wedding day special for bride and groom. Wedding is not a relation of two people, but it is a relation of two families. As wedding day is an important day of everyone’s life, so the people who arrange wedding try to keep everything perfect and attractive. Previously, the family of a groom and bride take the complete care of all arrangement, but now the demand of every person has changed a lot. So the first gift that you can give yourself is the wedding planner. Wedding planners understand the requirements of all kinds of wedding, and on the basis of that they arrange the things in an effective way and arrange all the ceremonies of wedding under the clients’ budget. Wedding planner will help you with pre-wedding spa treatment and offer a complete service from coordination to design and planning, they will do everything in the budget. Why one should Hire a Wedding Planner? They will assist you to stay within the budget. Good wedding planner will help you to find the things that what are essential and what are not required. Take a proper care of decoration, food, return gifts, etc. They will arrange the professional wedding caterer for the reception, wedding photographer, makeup artist. Wedding planner will help you to make a good decision. They will help you to select the outfits for the ceremonies. Wedding planner will listen to what you want and on the basis of that, they arrange the things. They will take all the responsibility of wedding and ceremonies related to it, so you and your family member will have a peace of mind that everything will be done in a proper manner. They will coordinate with their team and work very well. So everyone can enjoy the wedding moments. You and your family members will be relaxed because every work is going well. Therefore, hiring a wedding planner for a perfect wedding would be an ideal option. There is an ideal wedding planner for every budget and for every person. 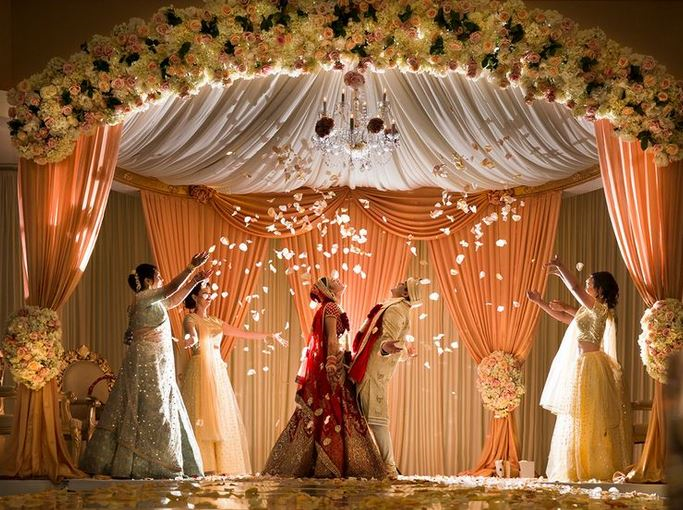 Before hiring any wedding planner ensure that they understand your vision or not. If they understand your vision, then they will execute in a proper way and ensure that your wedding day is the happiest and memorable day of your life. If you are searching for a wedding planner or want to plan on your own, then you must have this wedding planning app – WedMeGood. You can find wedding planners to wedding venues to bridal makuep artists in your city, literally everything you need to plan your wedding. You can also find latest trends in bridal outfits, decor, etc. And, also a wedding checklist to be up on your toe. You can get a list of wedding photographers with prices & reviews to choose on your own. You can also contact the vendor directly to negotiate and block your date. On their Pinterest board, you can get a lot of inspiration and ideas. What more do you want! Just ask the experts and you ll be sorted.